An intense fibre optic illuminator for examination of intended writing and for transmission through photographs. PKI 9415 can be operated by three different power sources: an internal battery, a wide range of AC power supplies and an external DC power source – like car batteries. 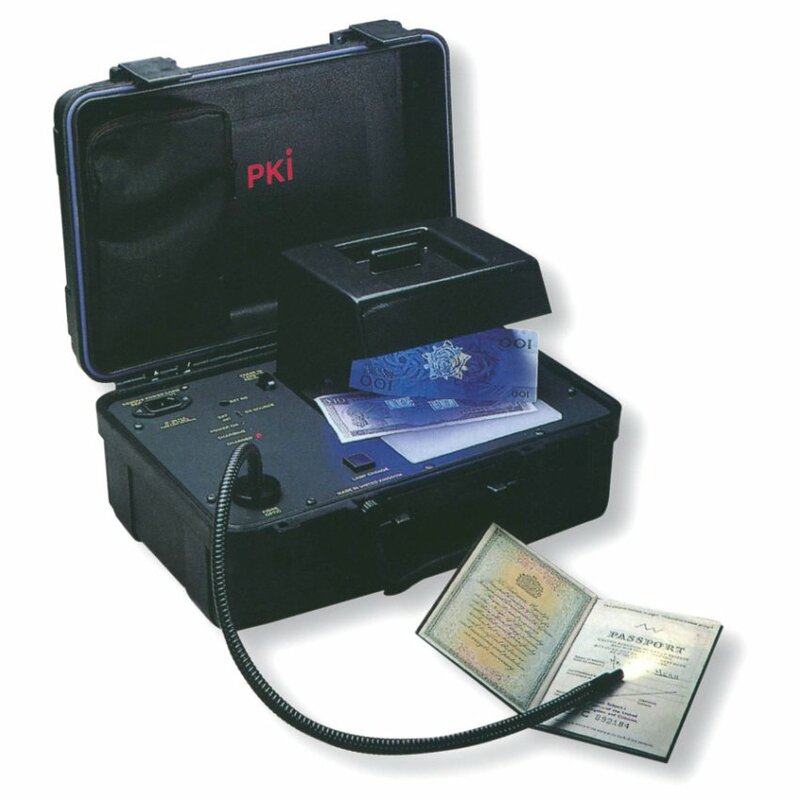 PKI 9415 is housed in a rugged ABS hardcover case with “O-Ring” sealing for the protection against water, dust and other contaminants. ae Fibre Optic, flexible glass fibre light pipe, 5 mm active area, 1000 mm length, click-fit connection to light source. Stored in tool storage wallet when not in use. ca Internal battery, option of 2 battery sizes. Standard 1.2 Ah or extended life with 7.0 Ah, 1.2 Ah gives 1 hour constant use, 7 Ah gives 6 hours constant use.